Buses depart from Gatwick to London Victoria Coach Station once per hour. The journey takes about 90 to 120 minutes and single tickets are available from as little as £5. To make sure you don’t miss your plane, National Express advise that you plan to arrive at the airport 1 hour before check-in. You are able to take your luggage on the coach; however, as with most airline travel there is a 20kg weight limit. Most buses around London are low floor, meaning that they can lower to pavement level, making them easier to board. You can also use Oyster cards on bus routes. For more information on connections and timetables, visit the Transport for London website. Gatwick Express trains run every 15 minutes and the journey time is approx. 30 minutes. Standard tickets cost £17.80 single and £31.10 for an open return. For more information, please call 0845 850 1530 (or +44 208 528 2900 when calling from outside the UK). Southern service to London Victoria takes about 35 minutes and single ticket prices start from £15.50, with trains running throughout the day. For more information, please call Southern Customer Support on 0345 127 2920. First Capital Connect trains run through London Bridge, Blackfriars, City Thameslink, Farringdon and St Pancras stations to St Albans, Luton and Bedford. There are four trains an hour during the day. The journey to St Pancras International takes 45 minutes. Please call Thameslink Customer Services on 0345 026 4700 for more information. The journey time to central London is approximately 60-70 minutes from Gatwick Airport. It will cost you anywhere between £60-£100 to get into London, depending on vehicle type and time of day. 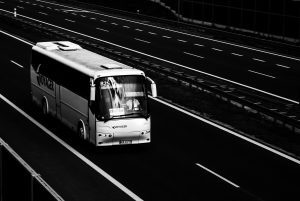 Getting a taxi can take the hassle out of your journey so choose one to suit you and your passengers; would an executive vehicle, minibus, or a coach taxi be more appropriate? However, you could get a better price by booking your transfer in advance. 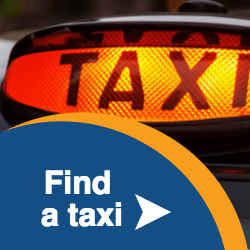 Find a taxi company on our Gatwick Airport Taxis and Transfers page. Alternatively, follow the signs from each terminal for taxi ranks. Getting an oyster card is generally the cheapest way to get around using public transport in London. You can get a pay as you go oyster car, meaning you don’t have to worry about having the right change in your pocket. You can use an oyster card on tubes, buses, DLR, trams, London overground and some National Rail trains in London. For more information on where you can use your oyster card, visit TFL. Just make sure you touch in with your card before boarding tubes and buses and Oyster will work out the cost of your journey at the end of the day. By doing this it means they can charge you less than the price of a day travelcard. It takes approximately 60-70 minutes to get to central London from Gatwick. Gatwick Airport is at Junction 9 of the M23 motorway and on the A23 Brighton to London road. If you are planning to park your car at the airport while you’re away then you may find cheaper quotes if you book online or by phone in advance. Take a look at our airport parking page to see prices, and compare car parks to find the cheapest deal for parking at Gatwick Airport. Planning your journey once you arrive at Gatwick? Looking for car hire? Look no further, we have compared all the car rental companies at Gatwick airport to help you find the best deal to suit your trip. We also have their details if you wish to contact them directly. London Gatwick airport is located 28 miles south of London. It is is directly linked to the M23 motorway at junction 9. You can also join onto the M25 within 10 minutes and from there you can access the UK’s huge network of roads and motorways. Journey time to central London from Gatwick Airport is around 60 – 75 minutes. For a bird’s eye view map of how to enter and exit the Airport from the surrounding roads, take a look at our Maps and Directions page. Driving in and around Central London means that you have to pay the Congestion Charge. You may be eligible to pay the congestion charge if you are travelling in central London between the hours of 7am and 6pm Mon – Fri. The charge is £11.50 a day, but dont worry about being caught out; you will be notified by signs when you are approaching CC zones, are within them and exiting them. You can pay the congestion charge in a number of ways: by SMS, phone, online, at a shop and by post. For more information on how to pay the congestion charge and where the congestion charge applies visit Transport for London. How does the congestion charge work? There are no physical toll booths or barriers, instead, it’s a clever network of cameras that monitor the entrances and exits of the congestion charge zones. If the camera recognises that you have paid to be in the zone, then your image is automatically deleted from the database. If at midnight your image still exists and you should have paid the charge, then a penalty charge notice (PCN) is produced and sent to the vehicle owner. Bicycles are permitted on the London Underground; however, some lines only allow non folding bikes outside of peak times. Folding bicycles are permitted on the underground at all times, free of charge. You are not allowed to take non folding bikes on moving escalators, at any time. Overground trains will take folding bicycles, free of charge at all times, on all sections of the network. Non-folding bicycles may be allowed on some sections of the network, outside of peak times. Tramlink will only accept folded bicycles; however, they do not have to be in a container. There is bike parking available at most stations around London. See the TFL website for more information regarding cycling in London.